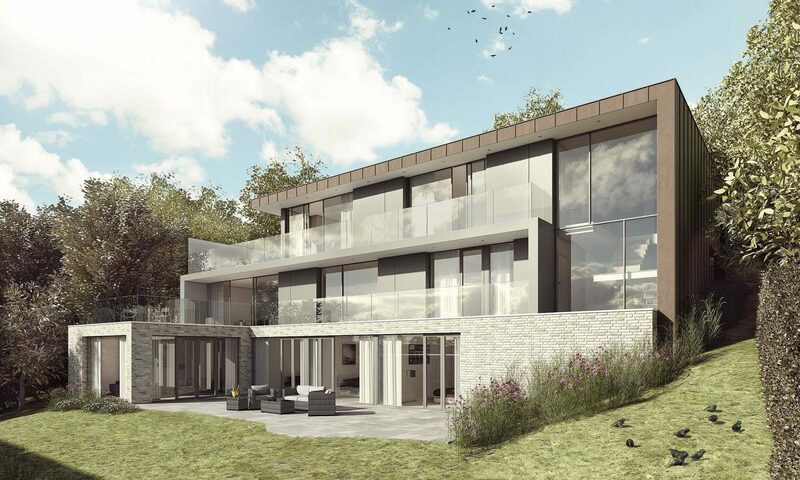 Following our commission for the adjacent site, we were asked to develop 22 Quarry Road into three contemporary townhouses together with a large detached house in the St. Giles Hill area of Winchester. 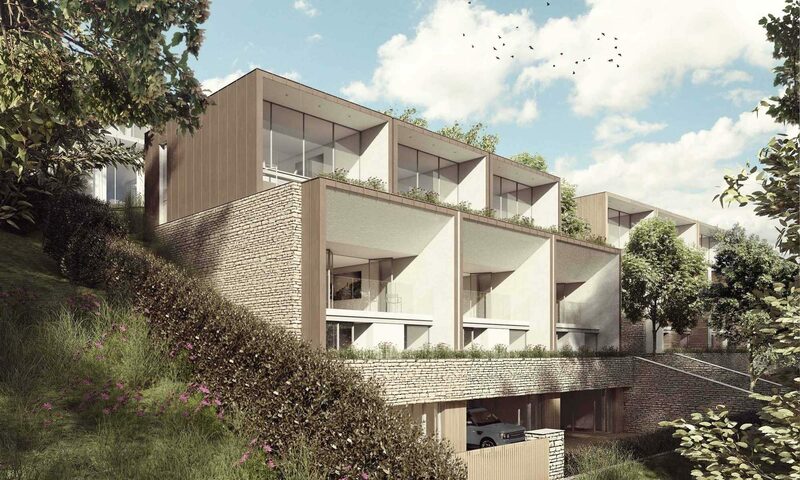 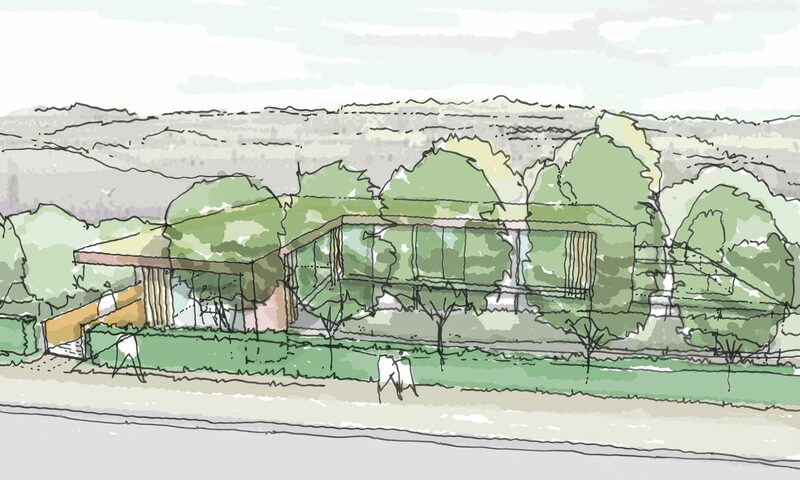 The steeply sloping site sits on the edge of ‘the Hill’, just outside the conservation area. 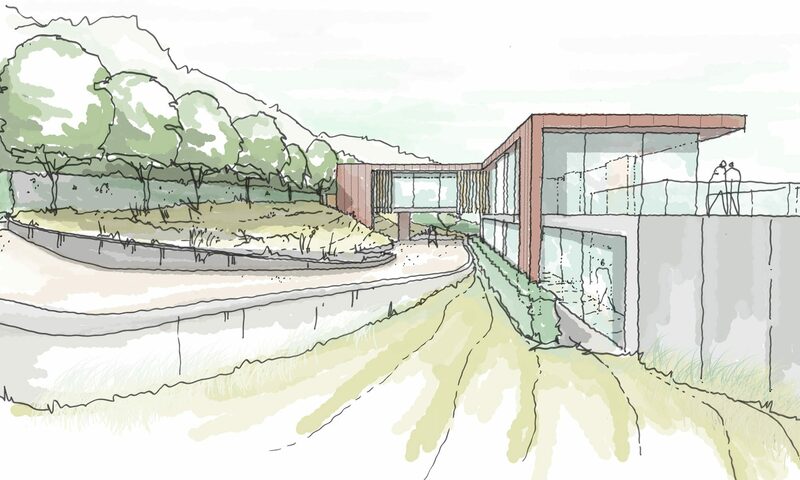 The dwellings are carefully positioned down the slope, inset deep into the bank, and back from the road frontage. 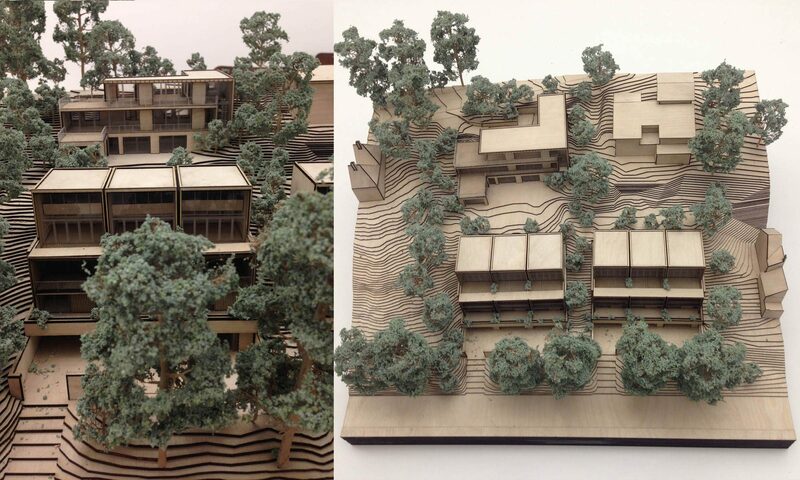 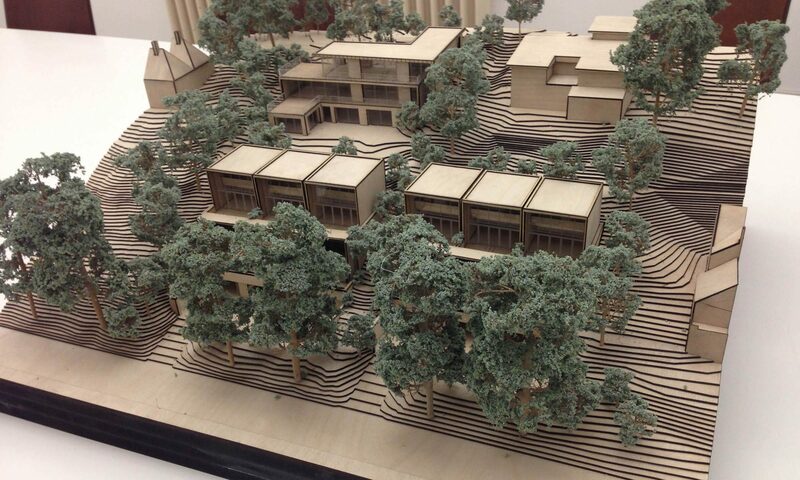 More than half of the built form is concealed within the line of the existing slope. 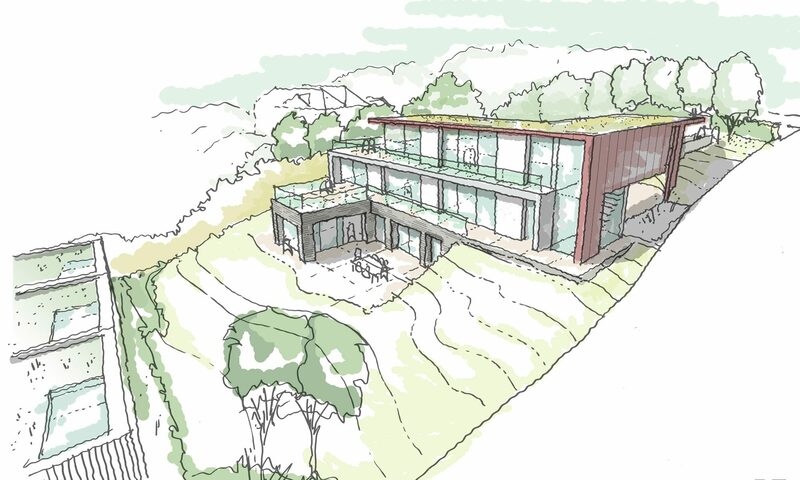 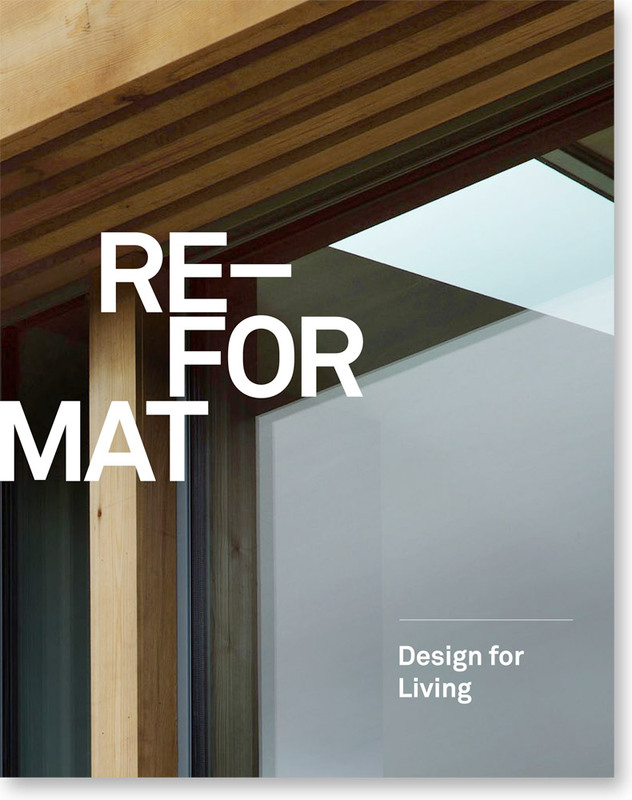 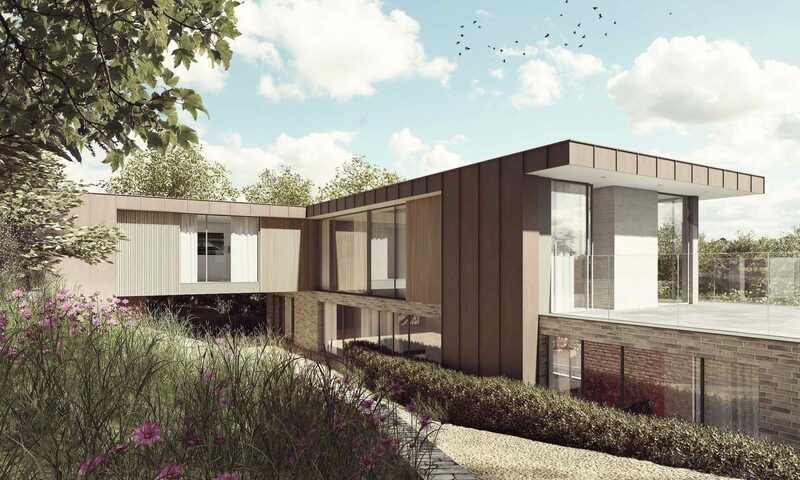 This bold design creates a series of tiered frames that capture panoramic views towards the downland beyond the city.